MOD-8AI module allows measurement of voltages and currents. 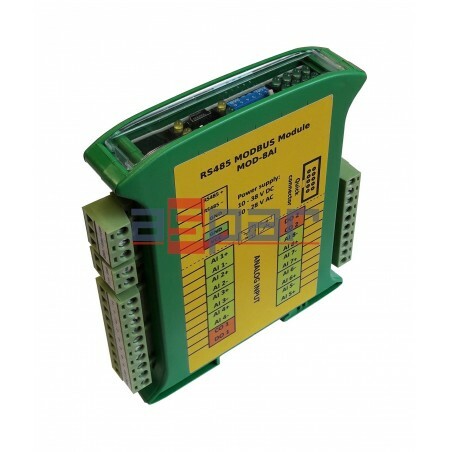 The values are read via RS485 (Modbus), so we can easily integrate the module with popular PLCs, HMI or PC equipped with the appropriate adapter. 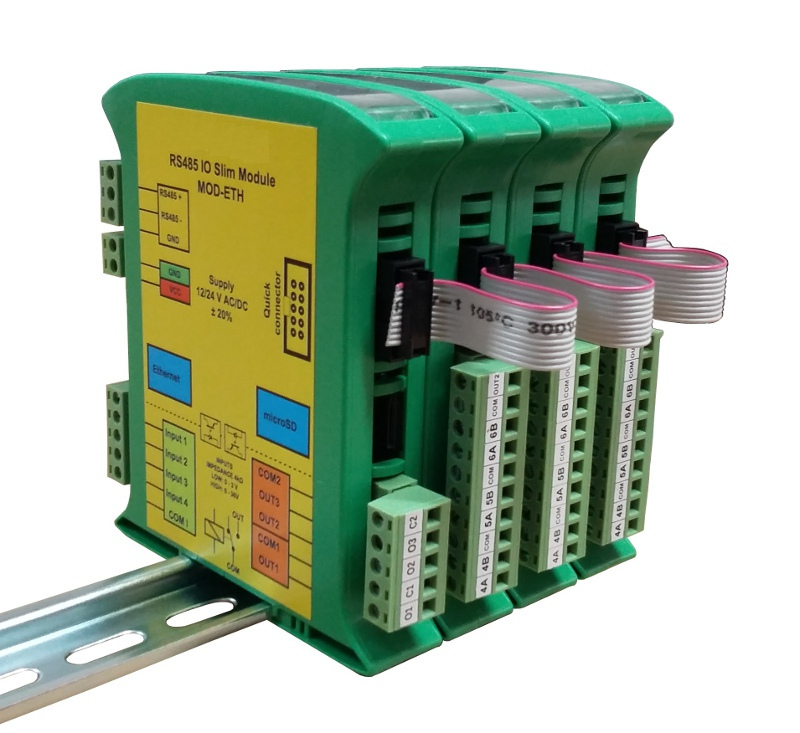 The module MOD-8AI communicates with all commercially available PLCs and other devices that support popular Modbus Master protocol.